Kevin Emerson: There's BAD WORDS in this here Book! There's BAD WORDS in this here Book! A 5th grade teacher emailed me yesterday to inform me that because her students had discovered a few bad words and an inappropriate gesture in my novel CARLOS IS GONNA GET IT, she was pulling the book from her classroom library. She said she was "sure I was a very good author," but that "it is disappointing as a teacher because we try so hard in elementary school to teach our students what is and isn't appropriate. They are bombarded with so much inappropriateness on TV and their surroundings, that it would be nice if they didn't have to read about it as well." I'm sorry to hear about your decision to remove Carlos is Gonna Get It from your classroom library. Since you felt the need to write to me and express your disappointment in the choices I made in the novel, I have a few thoughts to share with you. It's too bad you didn't read the book ahead of time (or since, I gather), because you might have found that the foul language and inappropriate behavior that your 5th grader discovered is not glorified, but simply part of what is an intentionally realistic portrayal of the rough-and-tumble world of middle school, a portrayal that I felt was essential for this specific story. 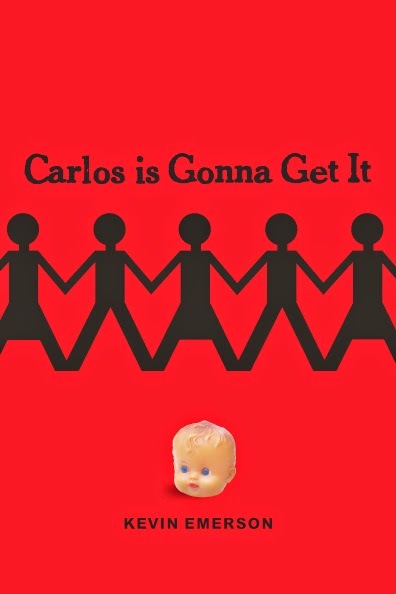 You might have also discovered that Carlos is a story about finding friendship and compassion in that difficult world. The book deals with learning disabilities, exclusion and inclusion in social groups, and how friendships change as we grow into ourselves. That's a lot of content to keep out of a kid's hands because of a few bad words that, as you know, aren't even close to what real seventh graders, or fifth graders for that matter, actually say. I have taught in public schools for fifteen years, and I'm a parent of a 9-year-old and a 5-year-old. I'm not here to say that Carlos is right for every fifth grader, but I find it hard to believe that you don't have a student or two who would not only enjoy reading a novel that accurately depicts middle school (where all of your students are headed, no doubt), but who might also identify with the struggles of the characters. Again, as a teacher and a parent, I understand the desire to shield your kids from the world, and I agree that a certain amount of that is necessary, but if you think your students aren't already very busy forming habits and strategies for dealing with a dangerous culture, I'd urge you to think again. When I hear about my 4th grade daughter's daily battles on the playground, I'm relieved that I wrote Carlos the way I did. Look, I'm glad there are mermaid books, too. 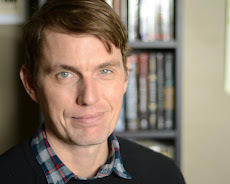 I've got perfectly clean middle grade novels about aliens and zombies. But Carlos is written differently and for a different purpose, one that I feel can absolutely be relevant and vital and appropriate for a 5th grader. Here's the thing: when that student came up to you and pointed out the words in my book, why not use the moment as an opportunity to discuss the power of language? Or, when you contacted me, why not do so with the student, and ask me why I made the choices I made? I would have been happy to talk it through. Either of these avenues might have led to really valuable experiences for your kids. Every author that I know who writes for young readers does so with the deepest commitment and respect not only for young people, but also for their teachers and librarians. When we choose to put content in our books, we do so for a reason. And we value any discussion about those choices. What we find disappointing is dismissal. The kids lose out. 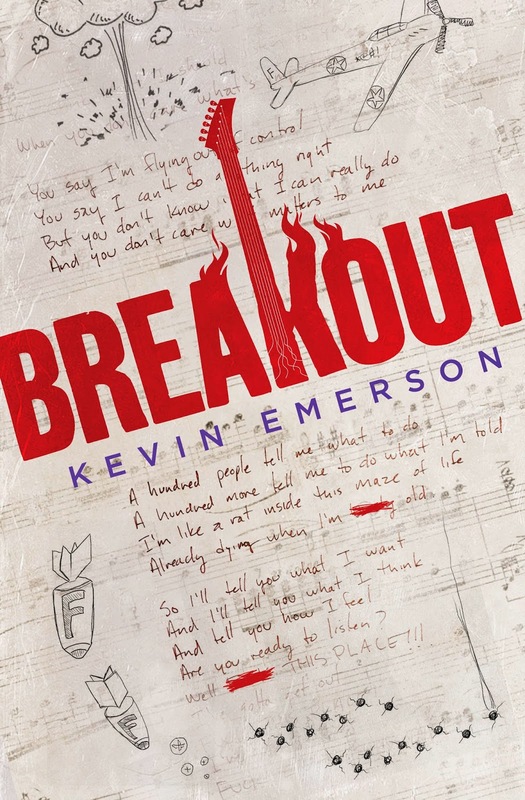 Next week I'm visiting a 5th grade class that's been reading my new novel BREAKOUT. It's even worse; all about the F-word. The kids are so excited to think about the power of words, words they happen to know quite well. And I feel privileged to be there with them. Authors like me are on your side. I'm sorry you feel differently. Kevin, this is such wonderful response. You are amazing!